Over the previous quarter, Norman Broadbent Interim Management have been asked to deliver a number of senior Interim solutions that have in turn, highlighted the investment priorities currently echoed across the Retail sector. The outlook for the remainder of 2018 looks turbulent, and it is proving increasingly difficult to measure consumer sentiment as customers are behaving more erratically, often changing their habits on how they feel on the day. With the Bank of England raising interest rates in November 2017, and with predictions of more increases to come, consumer caution could increase further still. Ecommerce has been cited as a key area of investment in 2018, followed by mobile and customer service/experience and employee training. Ecommerce is also expected to grow as a percentage of overall retail sales, therefore shaping many investment decisions. Norman Broadbent have witnessed an increase in demand for digital specialists in this field, and have subsequently been engaged on multiple occasions to source Interim Ecommerce Directors and Programme Directors, who can lead platform builds while bridging the gap between technology and the business. These individuals are also required to bring strong stakeholder engagement skills in order to engage with the C-suite and deliver often difficult news and reporting. ‘Omni-channel’ is a widely used buzz-word at present and is expected to help retailers get to know their customers better and serve them more appropriately. But this is reliant on achieving a single view of stock and customers from all of their touchpoints. Norman Broadbent Interim have seen an influx in demand for Big Data specialists, and have been supporting clients who are looking to build and maintain big data platforms in order to access and create actionable insights from their company information. While talent pools within central London remain adequate, companies based outside of the capital are clearly lacking the expertise to capitalise on the data they have about their customers. As a result, we are seeing major investment into new offices to bring in talent such as Data Scientists and Programmers. Some are also using data insight to forecast the future behaviours of customers and target them with relevant products and promotions. Big data, database organisation or developing central systems that hold comprehensive customer information are high up on the agenda for the months ahead, and it is from this platform that the roll-out of personalised services in stores can be launched. Personalisation, or personalised services, are undoubtedly key goals for 2018, and Norman Broadbent have introduced Transformation Directors to leading retail organisations to establish strategies and roll-out major in-store technology investments. The role of the customer assistant has moved from simply delivering a transaction to that of an ‘advisor’, who is well informed about the products they sell and can interact with the consumers on the floor to guide them through a seamless discovery process. In order to excel in this role, staff are being equipped with tablets, digital screens and mobile devices to draw on personal information and tailor the selling process, and increase the chance of conversion as a result. The supply-chain has seen increasing demand for digitally savvy expertise associated with the demand for same day delivery options, driven by the likes of Amazon and Argos. Some companies are investing in tech in the form of apps that enable the customer to get up to date information about their order, while others are using technology to monitor systems and measure fleet performance. Norman Broadbent Interim have been mandated in recent months to locate Supply-Change Transformation Specialists to help re-organise distribution networks to help clients remain competitive in the age of rapid home delivery options. In addition to this, clients are employing Interims to develop Brexit contingency plans to relocate distribution networks outside of the UK into Europe, so they can be within the EU to serve their customers. 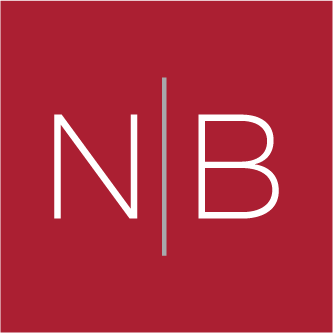 Norman Broadbent Interim are used time and time again by our longstanding client base because of the lengths we go to in ensuring we locate the very best Interim expertise. We do not advertise any roles to the market, but instead draw on a network of over 25 years to help us locate the very ‘best in class’, and not just those who are simply available and looking for their next opportunity. If any of the topics discussed in this article resonate with the challenges faced by your organisation, then please do not hesitate to get in touch.